Mario Diaz walks through Terminal E of the George Bush Intercontinental Airport, the flagship airport of Houston and new port for Air China and Turkish Airlines. Arriving in Houston during the spring of 2010, aviation director Mario Diaz dove in head first. He has been on the forefront of one of the most dynamic and eventful periods in the history of the Houston Airport System. In just three and a half years, Diaz has welcomed two new international air carriers to the market, partnered with Southwest Airlines to begin providing international air service at Houston’s second commercial airport, and initiated the steps necessary to establish the city as the location for the nation’s ninth licensed commercial spaceport. To say that the past 43 months have been busy is a major understatement. 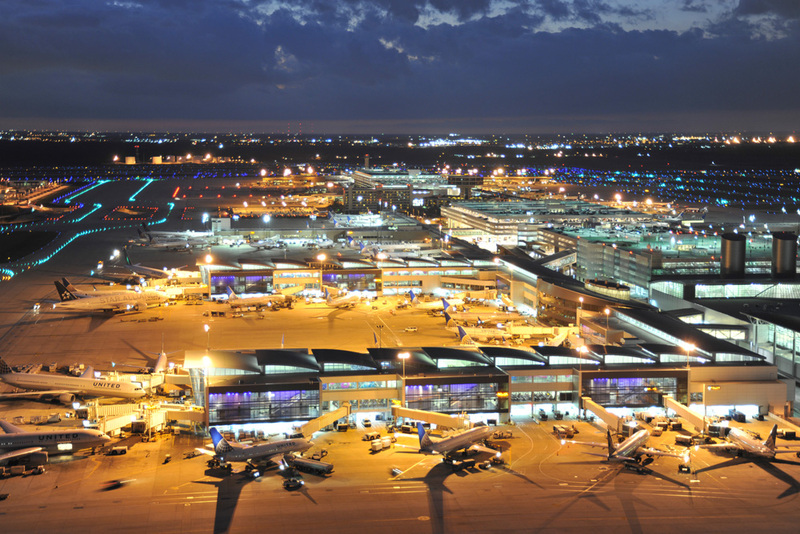 Comprised of three airport facilities (George Bush Intercontinental Airport, William P. Hobby Airport and Ellington Airport), the Houston Airport System handles more than 50 million passengers on an annual basis and facilitates nonstop air service to 176 destinations around the world. The mission of the airport system is to connect the people, the businesses, the cultures, and the economies of the world to Houston. Fortunately for Houston, Diaz brings more than 30 years worth of aviation-related expertise, having served in a variety of positions including deputy general manager for the world’s busiest airport, Hartsfield-Jackson Atlanta International Airport. Diaz has proven that he has the capability and experience needed to strengthen Houston’s position as a key player in the global marketplace and as a hub for activity within the aerospace industry. So far, the results have been impressive. Located in the far north portion of the city is Houston’s flagship airport facility for long-haul international flights, George Bush Intercontinental Airport (IAH). A five-terminal airport, it offers customers extensive access to nonstop flights on the domestic route map and more connectivity with Mexico than any other airport in the nation. Shortly after his arrival, Diaz found that due to demand, the international reach of IAH needed to be dramatically strengthened in markets well-beyond the North American border. Specifically, he wanted to see significant progress in enhancing the service available to the continents of Asia and Africa. George Bush Intercontinental Airport celebrates its 45th birthday in 2014. Diaz’s first priority was to direct his team to “go global.” What followed was a cross-continental sales pitch to numerous air carriers across the Pacific and Atlantic Oceans, highlighting the robust Houston economy and its position to be a major force in vital business sectors such as energy, medicine, and manufacturing. By 2013 these efforts were paying huge dividends with the arrival of an Air China terminal at IAH and its nonstop service to Beijing. Turkish Airlines also offers a nonstop flight to Istanbul now. Creating these airways has been especially gratifying for Diaz. “Travel has the potential to develop a cultural exchange between the United States and Eastern nations to provide a better, mutual understanding,” he says. Located within 15 minutes of downtown Houston, William P. Hobby Airport has played a key role in the city’s development for more than eight decades. Formerly Houston’s sole location for air travel, Hobby now caters to low-cost carriers offering passengers nonstop service to dozens of domestic locations. But in 2015, the role and impact of Hobby Airport is going to be greatly expanded as it reestablishes itself as an international airport with nonstop flights to destinations in Latin America and the Caribbean. As a result of that commitment, Diaz helped to establish a partnership with Southwest Airlines that is leading to the construction of a $156 million international terminal facility. Airline and city representatives broke ground on the new project in September of 2013, and flights are expected to begin in 2015, adding a projected 10,000 new jobs and 1 million new passengers in the process. If you could meet one iconic person, living or deceased, who would it be? I would choose the mathematician Georg Cantor, who developed the mathematics of infinite spaces. What do you think is Houston’s best-kept secret? I would say it is its culture, the vast offerings provided by the museums, the symphony, and performing arts. When was your first flight and where did you travel? My first flight was from San Juan, Puerto Rico to New York City. What is your favorite book? My favorite book is titled Flow: The Psychology of Optimal Experience by Mihaly Csikszentmihalyi. What is a little-known fact about you? I am a licensed pilot with instrument rating. About the same time that Diaz was unpacking his bags in Houston in 2010, another interesting development was just beginning to unfold. Most of the activities taking place within the area of commercial space exploration had begun to shift away from federal governmental agencies and toward private sector companies. Needless to say this was not welcome news in Houston, a community dubbed “Space City, USA” and the home to NASA’s Johnson Space Center. Diaz, however, adopted an optimistic and progressive viewpoint. This assessment provided the genesis for the city of Houston’s drive to establish Ellington Airport as the nation’s ninth licensed commercial spaceport. The long-term goal is to accommodate flights involving reusable launch vehicles that would facilitate the launching of microsatellites, Astronaut training, zero-gravity experimentation, space tourism, and more. To ensure that the city of Houston has the manpower necessary to carry out such lofty goals, the Houston Airport System is looking to play a direct role in the development of Houston’s future workforce. Specifically, the system’s team members have established the Houston Aviation Club, which is designed to encourage students’ development in the fields of science, technology, engineering, and math and to expose them to the numerous career opportunities that are available within the aviation and aerospace industries. “We need to create a pipeline of individuals who can provide the intellectual capital needed to drive the energy, medical, and particularly aerospace industries here in Houston,” Diaz says. The Houston Aviation Club, which is a partnership between Houston Airport System, Embry-Riddle Aeronautical University, and two Houston-area high schools (Sterling High School and Carnegie Vanguard High School) was launched in 2012 and establishes mentoring opportunities, tours, and internships.